You have probably come to this page to find out what a funeral celebrant does. We conduct non religious ceremonies to mark the death of someone who has been loved and respected by their family and friends. We tell the story of the person's life. We mark their achievements and unique qualities and we welcome contributions from friends and family members. Thank you, the ceremony was so beautifully done, you have made the whole process bearable and easy. We play music and take time to reflect on the person, their life and the memories they have left us. There is an opportunity for private prayer within the ceremony and if desired, we are happy to provide a religious element to the ceremony. Hi Stevie, thank you so much for a wonderful service, it captured exactly what everyone loved about our Mum. The Lord's Prayer or Psalm 23 for instance are both very popular. Many people who do not actively practice a religious faith find comfort in prayers or words that are familiar to them. So poetry too has a place in our ceremonies - it can often be a secular prayer. Celebrating a life lived can really help the grieving process. Thank you for the service yesterday, it was lovely and appreciated by all. Over the years I've been to a lot of funerals. Some have been absolutely wonderful. Others have been pretty grim or even worse, completely forgettable. I believe that funerals are important occasions and should be conducted in the best way for everyone involved. So, after twenty years working in publishing and public relations, I leapt at the chance to take a Diploma with Civil Ceremonies Limited. I wanted to put into practice the best parts of all the ceremonies I've attended over the years. Stevie was a great help during a very difficult time, guiding us in the right direction to get things done. She was both business-like and sympathetic and showed genuine interest in our family stories. She got to know our lovely Nana quite well and knew just what to say. The whole family expressed gratitude to Stevie for all that she did to help on the day and during the run up to the funeral. The eulogy was perfect. Each ceremony can be tailored to suit you or to follow the wishes of the departed. I will guide you every step of the way. Together we can create a fitting and memorable ceremony that conveys everything you would like to share with your family and friends. I work with Funeral Directors from all over the North East. They are all conscientious, caring people who understand the range of emotions that we all experience at such difficult times. Thank you so much for the beautiful service, we appreciate your words of comfort. Funeral ceremonies can take place just about anywhere - the important thing is that it feels right to the individuals involved. 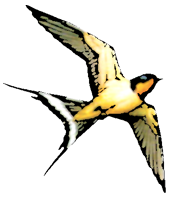 Memorial ceremonies or ceremonies for the burial or scattering of ashes are also something I can help with. Just to say on behalf of all the family, thank you very much. Everyone commented on the lovely way you took the service... We couldn't have chosen anyone better!! Whether it is the internment of an urn in a family plot or the scattering of ashes in a favourite place. Even if your loved ones dearest wish was to be scattered from a pirate boat in Bridlington Bay or fired to the heavens in a rocket, together we can create a ceremony to suit the occasion. I get great satisfaction from working with families. It’s a privilege to help create a ceremony which will honour your friend or family member in the best possible way. I have achieved the highest possible qualification in Funeral Celebrancy in the UK. 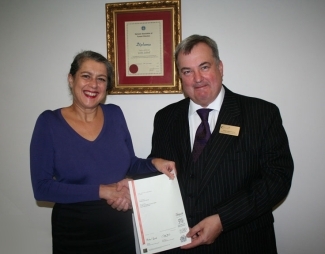 I was awarded the National Qualification Level 3 Diploma in Funeral Celebrancy (QCF). During the course my skill and suitability as a Funeral Celebrant was rigorously examined. Achieving this diploma means that I'm able to create and deliver a unique and appropriate funeral ceremony. You can have every confidence in trusting me to conduct the occasion with empathy and sensitivity. I will only use your info to reply to your message. Hi Stevie, just wanted to drop you a line to say a huge thank you for Tony's funeral last Thursday. I passed on my thanks through Mark but wanted to e mail you personally. I loved the way you worded our memories of Tony and it was even better on the day. The way you read slowly, pausing and highlighting the funny times. It came over better than I could have hoped. I just wanted to drop you an email to say a huge thank you for Ians service. Right from our first meeting, your warm and professional approach made a very difficult experience much easier to deal with. Your choice of words totally captured Ian and your delivery was perfect and very respecful. Ive received many kind words from people who attended the service - all of them commenting on how good you were and how much Ian would have approved. Throughout the process, it was also really important to me that Ians Dad, George, was happy with everything. He described the service as "perfect". Ive also just received your copy of the service through the post - a lovely touch. Right from the start, I said that we had to get it right for Ian and I thank you again for playing your part in achieving that. We most definitely "did him proud".